Sahibganj District Recruitment 2018 Notification published. Apply through offline for 400 Rural and Urban Home Guard Posts before the due date, i.e., 26th February 2018. Scroll down to know complete details about Jharkhand Home Guard Recruitment 2018 like eligibility criteria, selection procedure, important dates, application procedure, etc. Hello guys!!! Latest News for the job hunters who are in search of Govt jobs in Jharkhand State. Recently, Sahibganj District Recruitment 2018 Notification was published on 18.01.2018 with advt no. 01/2018 by Deputy Commissioner Office Sahibganj District Jharkhand. The board invites applications from the aspirants to fill 400 Rural and Urban Home Guard Vacancies. 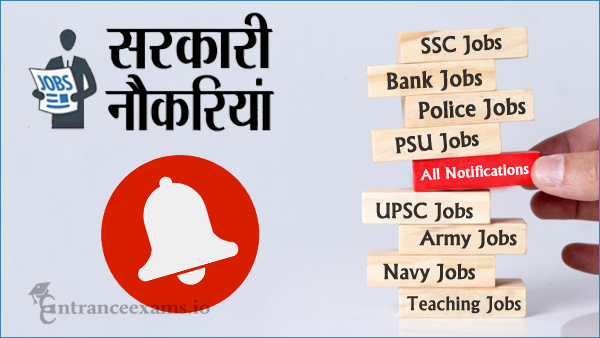 So, the aspirants who are dreaming of Latest Sarkari Naukri Jobs in Jharkhand State can apply for Sahibganj Recruitment 2018. Hence, interested candidates who wish to apply for Jharkhand Home Guard Recruitment 2018, can send duly filled applications through registered/ speed post. Check that the applications should reach the officials by 26th February 2018. For complete information regarding sahibganj.nic.in Recruitment 2018 such as vacancy, how to apply, application fee, etc. check following modules. Rural Home Guard Block Wise Vacancy details are tabulated below. The applicants firstly need to ensure their eligibility criteria which are required for Sahibganj District Recruitment 2018. Check the following sections such as age limit, educational qualification, and physical standards to verify your eligibility. The aspirants must possess following educational qualification to apply for Sahibganj Recruitment 2018. For Rural Home Guard Posts: Passed 7th class from any recognized Board. For Urban Home Guard Posts: Passed 10th Class from any approved board. The candidates having the age limit between 19 years and 40 years as on 01.01.2018 are only eligible to apply for Jharkhand Home Guard Recruitment 2018. The applicants who met the eligibility criteria as mentioned above are only eligible to apply for Sahibganj District Recruitment 2018. Before applying go through the following sections for further more details about Jharkhand Home Guard Recruitment 2018 such as application fee, salary, important dates, and selection. The selection of the candidates for the Post of Jharkhand Home Guard is made based on Physical Test. Check following table for details about Physical Test. The shortlisted candidates through Sahibganj District Recruitment 2018 for the post of Rural and Urban Home Guard gets attractive pay scales as per the norms of the Jharkhand State Govt. The application fee details were not enclosed in the official notification of Jharkhand Sahibganj Recruitment 2018. Refer official notification for more details. Interested and eligible aspirants who wish to apply for Jharkhand Home Guard Recruitment 2018, must send their applications through registered/ speed post to the address mentioned below so as to reach the board by 26th Feb 2018. Otherwise, directly download the application from the link attached below. The applications received after the due time are not considered. Hence, send your applications as early as possible. The homepage of Jharkhand Sahibganj District gets open. Now click on the link “Notice/ Tender” on the home screen. Read the notification carefully and check whether you are eligible or not. If eligible, then download the notification and scroll down for the application form. Finally, take a print of the downloaded application form, fill the details manually, affix your recent photo and send it to the below address. The information shared here is only for reference. In case of any doubts regarding Sahibganj District Recruitment 2018 refer the official notification by the attached link below. Meanwhile, keep in constant touch with Entrance Exams page for latest job notifications, previous papers, syllabus, etc.